So after 2 months of breastfeeding I feel as though I’ve finally cracked it, but now I’m posed with a breastfeeding dilemma. Breastfeeding is going really well, both Isla and I seem really happy with it, and are getting on really well. She’s putting on weight and remains on the same percentile as when she was born. As mentioned before, I suffer with Chronic Daily Headaches. I had to stop taking all my medication when I got pregnant, so as not to affect Isla’s development. My headaches got significantly worse – whether that was because I couldn’t take any abortive medication or not though I don’t know. After never having a single sick day due to my headaches in all my working life, during my pregnancy I had over 14 sick days. I was referred back to neurology, they gave me medication that I could take during pregnancy, but they didn’t do much. I saw my neurologist again a month after Isla was born and he put me on a new type of medication. I started this medication (Topirimate 25mg) on the Tuesday, with the aim of increasing this to twice a day after 2 weeks, and doubling this again in 2 months if needed, with a follow-up appointment with neurology in January. On the Friday evening I then realised that the diarrhoea Isla has been experiencing since Wednesday morning was due to my new medication. I phoned my GP surgery on Monday morning for a telephone consult, but missed his call back as I was driving (get me!!!) so went back on the list for a call on Tuesday. Continue with the new medication, hope they work and I don’t get (as many) headaches, and stop breastfeeding. He believes all medications to address my headaches would have the same effect on Isla. This wasn’t the answer I was expecting. I was expecting him to suggest another type of medication. 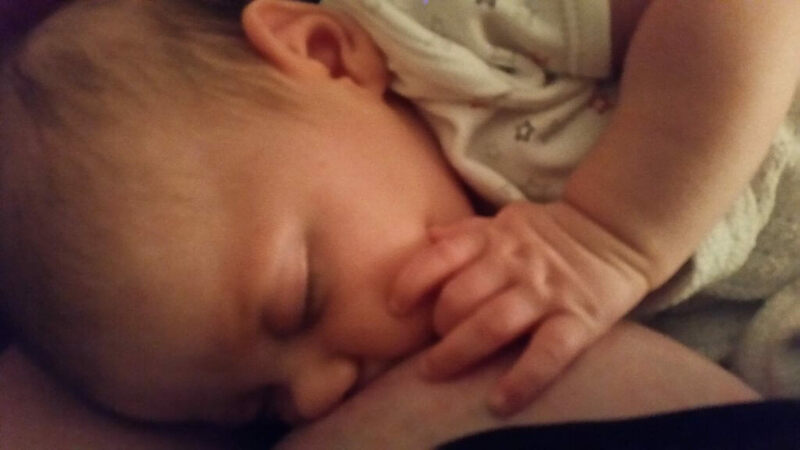 Now, I don’t want headaches, but I also don’t want to stop breastfeeding. By the end of the phone call I was quite upset. By the time I’d thanked him for calling me back and hung up the phone I was in floods of tears at the prospect of having to stop breastfeeding. I’d just congratulated myself that morning on learning how to breastfeed while lying down, and now I may not be able to do it any more. I spent the rest of the day in tears on and off whenever I though about it all. My headaches have ruined things again. I can manage holidays, friend’s weddings, weekends with friends, even parts of our honeymoon being ruined by my headaches, but the fact they are now ruining my relationship with my daughter too is too much to bare. 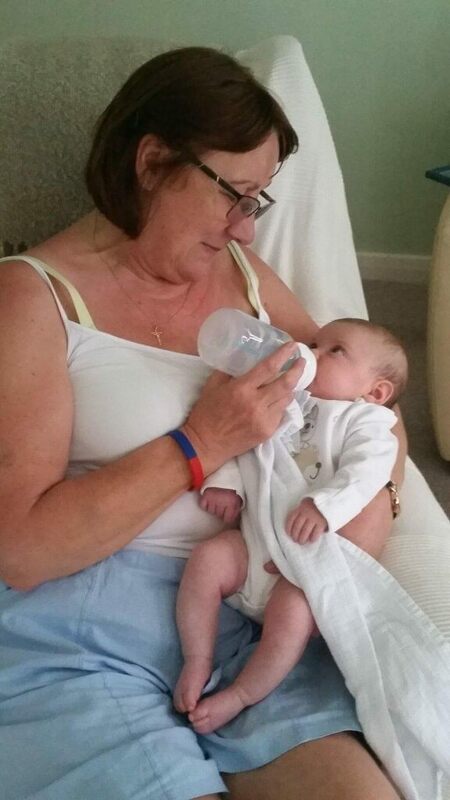 So many people have been so supportive since this bombshell was dropped, saying I’d done so well to feed her thing long, they will support whatever decision I make, bottle-feeding wont negatively affect Isla at all, etc. but it doesn’t make me feel any better to be honest. I just want someone to come up with a magic answer that means I can have no headaches and still breastfeed. Someone suggested that I express milk and then freeze it as it will last a good few months in the freezer and then I can mix and match with formula milk. This made me consider becoming a cow for a month or so (after ensuring the medication was out of my system first) so that I can store up loads of milk for Isla, but I realised that it wasn’t the milk I wanted Isla to have. I wanted to breastfeed her, not bottle feed her with my milk, but couldn’t see a way around this. My parents were on holiday at the time, but I emailed them anyway to let them know what was going on. They emailed back suggesting I contacted Breastfeeding Network to ask for advice. I emailed them in the middle of the night, and had a response from them when I woke up in the morning. They couldn’t advise on what medication I could take, but suggested I contact my neurologist again and ask for a phone consult, and if he did prescribe another medication, then she would look into it for me to find out how it could/would affect breastfeeding. So now a week later and I’m still waiting for my neurologist to call me back as he was on holiday last week. I’m hoping something positive will come from it, because I’m really not sure what I’ll do if they say all the medication could/would affect Isla. Though I guess it’s worth trying them in case one of them doesn’t have an effect on her at all??? What are your thoughts? Have any of you ever had a similar problem? If so, what did you do? Am I being selfish in not wanting to stop? Hello, I had a similar issue only with me it was gall stones which developed in the months after my second child was born. The agony of gall stone pain was horrendous, though I didn’t suffer daily (your headaches sound awful!). And for one reason and another I wasn’t ready to have the operation to have them removed. I talked to my doctor about managing them, and the pain killers I could take (codeine) I wasn’t able to breastfeed for 12 hours after, as that was how long they would take to get out my system. I tried for a bit – I expressed milk so I had some in the freezer for if I had to take the pain killers, so she could still have her feed. 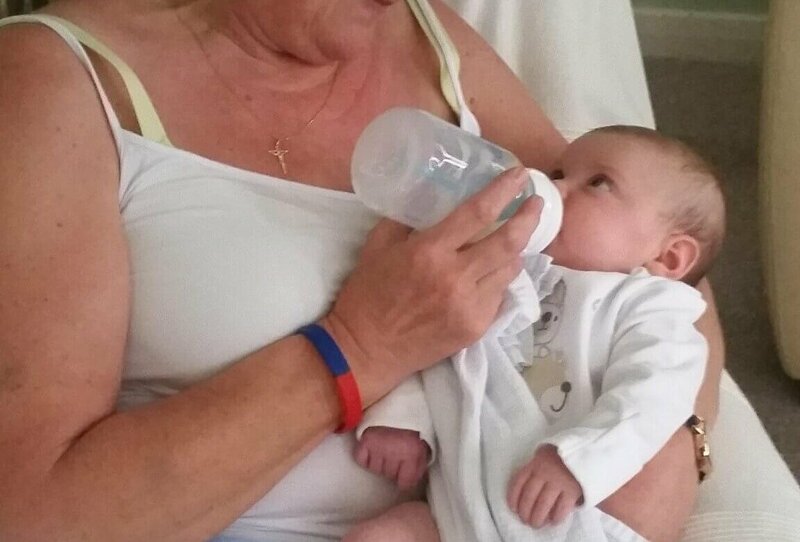 But the baby was rubbish at taking bottles and never had a proper feed if she did. The gallstone pain completely floored me – there was no way on earth I could have fed a baby in the middle of an attack, nor do anything else at all. I can’t remember how long I tried for, but thankfully by 7 months she was down to only 2 feeds a day anyway, and weaning really well (also because I returned to work and she wouldn’t take a bottle so we had to work out an alternative for those days). So the galls stones, combined with the fact that for the sake of my sanity I needed to start early morning running again, meant I weaned her off breastmilk. I felt guilty, especially as I had breastfed her sister for 11 months till she self-weaned, whereas for this child, I made the decision purely for the sake of my health, not hers. I finally realised though, that we are a family unit. Decisions made to help any one of us, help the rest. She was better off for having a sane happy mummy who ran and who could take pain medication when necessary. And brilliantly, once I’d stopped breastfeeding I was allowed even stronger pain killers hurrah! That got me through till I finally had the stones removed. Whichever decision you make will be a good one – your child is already blessed by having a mummy who tries to make good and wise decisions for her own health and for her family. Thanks Claire. It’s always helpful to hear from other people who have been through a similar thing. I’m still no closer to knowing what is happening, as my neurologist is being most unhelpful!